Saif Ali Khan says he is as "scared" about his daughter Sara's debut movie "Kedarnath" as he is about the release of his own films. 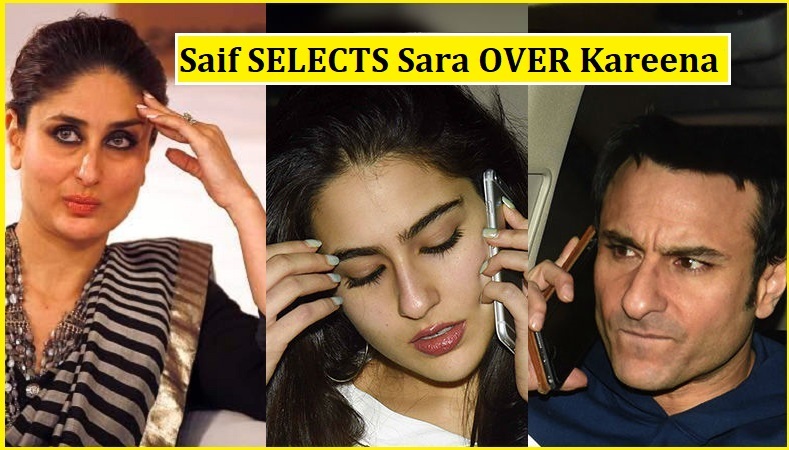 During the promotions of his forthcoming film "Kaalakaandi" Saif was asked what is he more excited and nervous about -- his own film's release, wife Kareena Kapoor Khan's comeback (Veere Di Wedding) after the birth of their son Taimur Ali Khan or daughter Sara Ali Khan's debut? He said: "I am scared for all because when films release, you do get a little scared. A lot of people have put in their hard work. Sara (daughter) is also alone and her whole life is in front of her, so it feels like my own film is releasing." Sara stars with Sushant Singh Rajput in "Kedarnath", directed by Abhishek Kapoor. Saif said one's maiden film is important. "This is her dream, so I would want all her her dreams to come true," he added. Talking about Kareena's comeback, he said: "Kareena is a good artiste... She has put in so much of hard work and patience that it wouldn't be difficult for her to make a comeback." But again, if he had to choose what he's most nervous about, Saif said: "The youngest gets the most attention. So, Sara." Saif was also asked to comment on the Supreme Court's order that it is not mandatory to play the national anthem in cinema halls. He said: "I support the government always, but there are other issues which need attention, like Section 377 (which criminalises homosexuality) ..."